Newly renovated, President Hotel is a comfortable downtown hotel with super location with easy access to Pazhou Complex, airport and shopping centers: within 1 minute's walk (30 meters) to the Metro Station and several large shopping centers within 3 minutes' walking distance; about 15 minutes by car to the Canton Fair Pazhou Complex and 10 minutes to Guangzhou East Railway Station (Guangzhou-Kowloon Railway Station). And 40 minutes to Baiyun International Airport with the airport express having a stop at the hotel. 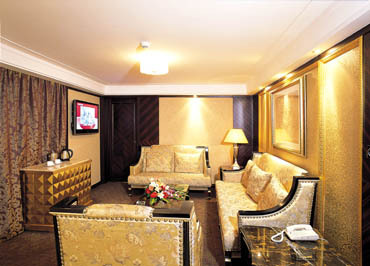 The hotel has 230 rooms, both are cozy, comfortable, and elegantly decorated, a dinning hall for up to 1,000 diners, a conference center that can hold over 600 attendees, a grand hall that has no pillar, equipped with advanced presentation and display facilities, and is suitable for wedding ceremony, business meeting, exhibition, product promotion, company anniversary, or other meetings, parties, or gatherings. 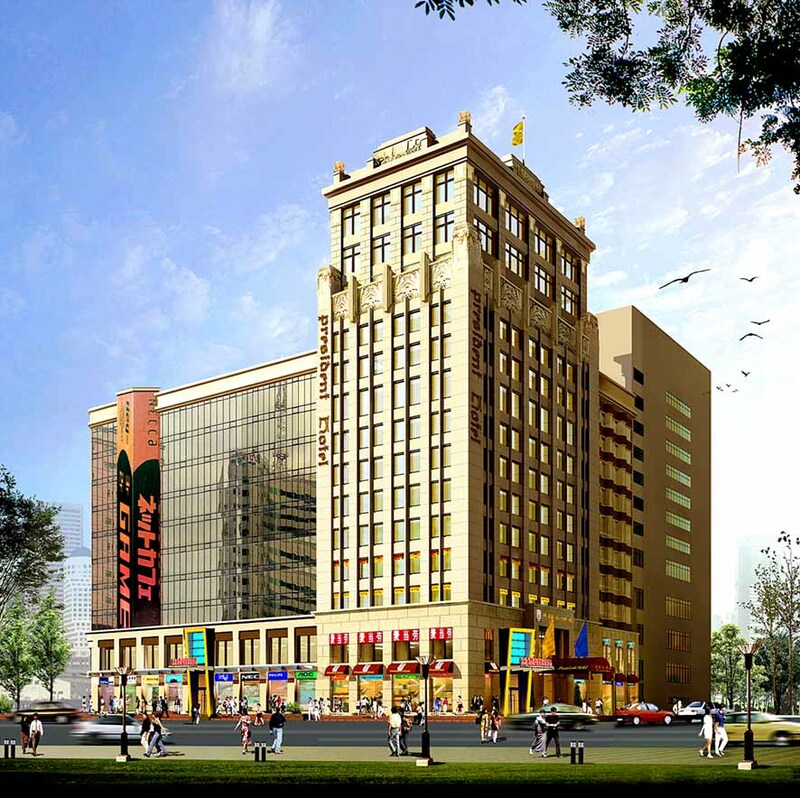 President Hotel Guangzhou also have gym, entertainment facilities such as health center, foot care center etc., that can make guests feel totally relaxed after a day's work. It has 7 different types of room available. Designed by professional designers from Hong Kong, our guest rooms are spacious, cozy, and perfect combination of fashion elements, home concepts, and high technology.